Another 5G testing hurdle is cleared ahead of launch. 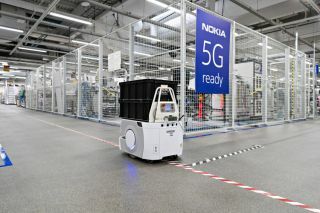 "These successful data calls are a significant step in making 5G a commercial reality in early 2019, and this milestone with Nokia will help enable 5G network deployments across various operators and regions around the world, said Durga Malladi, head of 4G and 5G at Qualcomm. "We will continue to work together to ensure end users have access to the technologies needed to experience transformative 5G experiences." “We continue to collaborate with Qualcomm Technologies to ensure our customers can unleash the power of their commercial 5G networks, to support the many new and diverse applications that will meet the demands of people and connected things, as they begin to launch commercial services in early 2019."